iRealHousewives | The 411 On American + International Real Housewives: Teresa Giudice’s Husband Joe Giudice Files Last-Minute Appeal To Avoid Deportation To Italy! 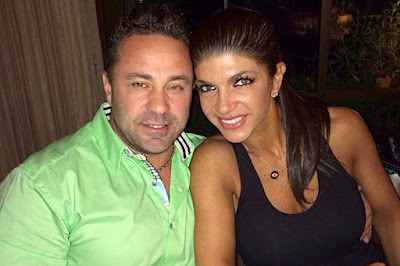 Teresa Giudice’s Husband Joe Giudice Files Last-Minute Appeal To Avoid Deportation To Italy! Teresa Giudice’s husband, Joe Giudice, reportedly filed an appeal in an effort to avoid being deported to his native Italy. According to Radar Online, the father-of-four made the legal move on Friday, November 9, which was the deadline to file the papers. Teresa recently revealed that they plan to file an appeal. "First, we're going to process the paperwork to do an appeal, and we're going to get through that," she told Entertainment Tonight. Teresa also shut down any speculation that she would ever consider divorcing Joe. "No. We're going to be a family, and we're going to fight this and get through this," she said.